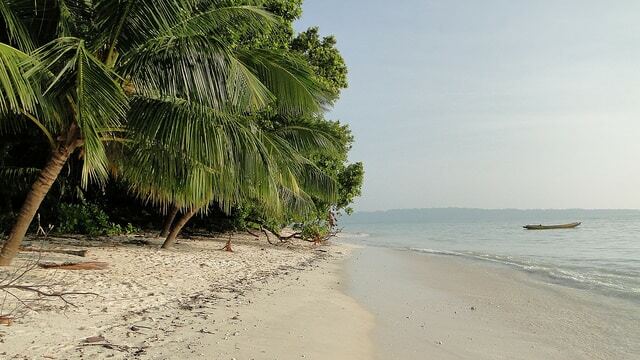 Located on the south Coast of Havelock Island, Radhanagar beach falls in the category of one of the best beaches of Andaman. In spite of being popular for its white sand and deep blue sea water, you will find this beach relatively less crowded compared to its other counterparts. You have to be here to realize why it was crowned with the title of ‘Asia’s best beach’ by Time Magazine. Lakshmanpur beach is located at a distance of 2 Km from Neil island. Colourful fishes and corals will compel you to think of snorkelling and exploring the underwater life . This beach is famous for its amazing sunset location. Keep your eyes open as you might spot a sea cow feasting on sea grass. 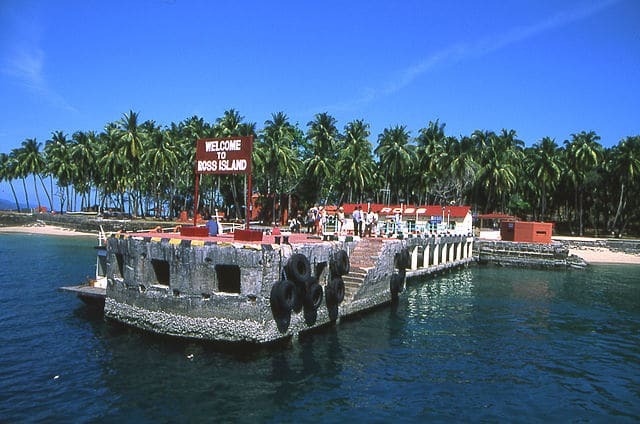 Popularly known as the twin islands of Andaman, Ross and Smith island beach has got its name because of a natural sand bar which joins these two islands. Surrounded by palm trees, these islands are truly beautiful and give a picturesque view of the blue-green sea. Vijaynagar beach offers tranquillity and solace which is exquisite in nature. 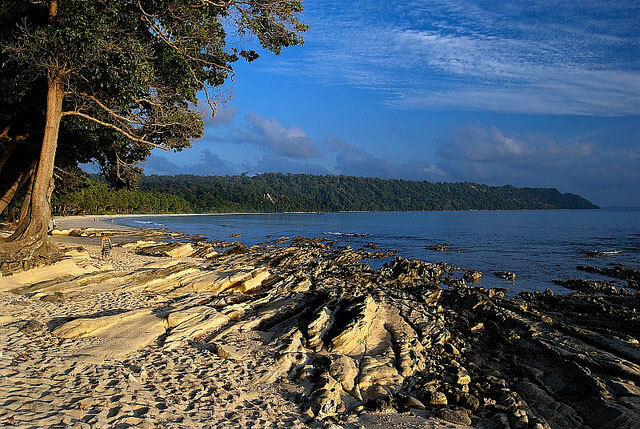 Located only 38 Kms from Port Blair, this beach is perfect for every nature lover. The shallow waters are apt for those who want to take a dip in the ocean. The cerulean sky casts a mystic spell and you will fall in love with the elegance and solitude of Mahua trees along the sea shore. The white sand beach and a stunningly beautiful coral reef- this is what makes the Elephant beach a pristine location. The beach with its enticing beauty is easily accessible from boat or trek route. Indulge in snorkelling here or just spend time on the beach soaking yourself in the sun. Easily accessible from Port Blair via ferries, Bharatpur beach is famous for its sparkling white sands which shine below the crystal clear waters. The beach is rich in coral reefs and also known as the ‘coral kingdom’. Snorkelling and scuba diving are the two most famous water sports here. You can also hire glass bottomed boats for viewing the corals and other marine life. Lalaji Bay beach falls on the west coast of Long island. The place is easily accessible by boat from Rangat jetty. 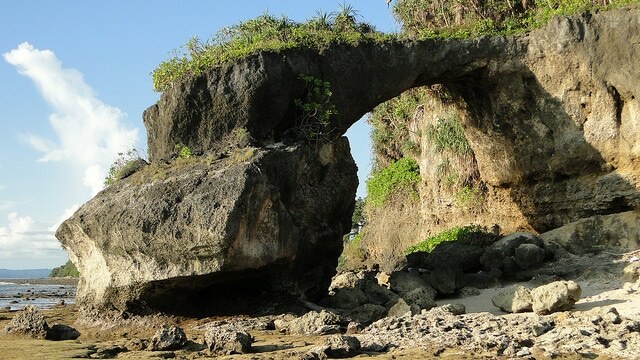 On your way to this beach you will get a view of alluring scenery- Mangrove creek is one of them. This island has sprawling coast lined with crystal blue waters and an equally azure skyline. If you are wondering about the name, then you have guessed it all right! Yes, Guitar island beach is in the shape of a guitar. The calm ambiance surrounded by palm trees sets up for a perfect picturesque evening. You can take a dip or just sun bathe, either way you will be at peace. 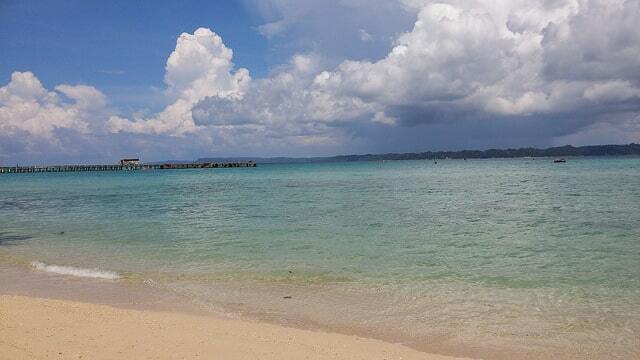 A famous leisure place for those who do not want any kind of disturbance, Raman Bageecha beach is one of its kinds among the group of islands in Andaman. The beach is not good enough for swimming because of the rocks in the waters. This makes it even more secluded. So you can just hang a hammock and enjoy a good read. 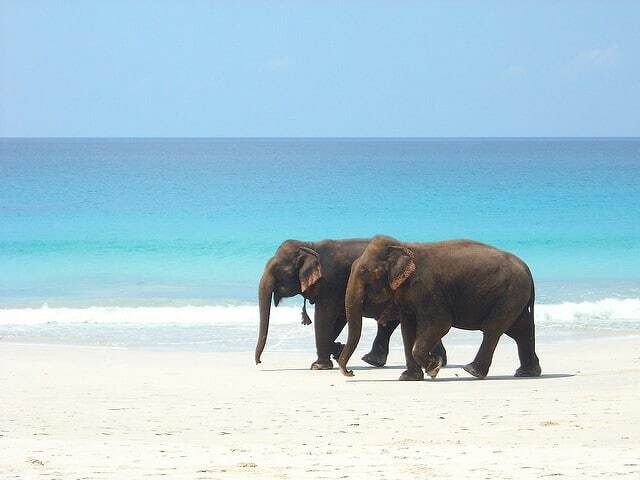 Pathi level beach is one of the remote beaches of Andaman’s which is not well equipped for supporting the tourist flock. You can reach this amazing place by a dunghi from Kalighat jetty. If you are lucky you can spot a salt water crocodile. You can also visit Alfred caves which are nearby. The Andaman Islands are not just an epitome of beauty but also a reminder of the fact that nature is at its best only when it is left to flourish with minimal human intervention. And if we have to survive, we must preserve these glittering emeralds for our future generations.